A UK company that is leading the way in the field of seabed harvesting is to fund two PhD posts at Plymouth University. Seabed Resources Development Limited is funding two students to undertake doctorates in marine and earth science at Plymouth's Marine Institute over the next four years. The partnership between the University and the company, which is a subsidiary of technology and engineering firm Lockheed Martin UK, will give two graduate students from developing countries the opportunity to become experts in a field critical to the emerging deep seabed economy. One of the PhD posts funded under this programme will focus on seabed mapping, working alongside the University’s acclaimed scientist, Associate Professor Kerry Howell. The other course will focus on geochemistry, and the extraction of minerals, working with academics in the school of Geography, Earth and Environmental Sciences and the Electron Microscopy Centre. Seabed Resources Development Ltd secured a licence in 2013 to explore a claim site in the Pacific Ocean for polymetallic nodules containing nickel, copper, cobalt, manganese, as well as rare earth elements. This resource is likely to assume increasing importance as land-based deposits of these metals become depleted. As authorised by the International Seabed Authority and the British Government, the company has begun the preparatory environmental and technical efforts to explore the Clarion Clipperton Zone, located in international waters between Mexico and Hawaii. 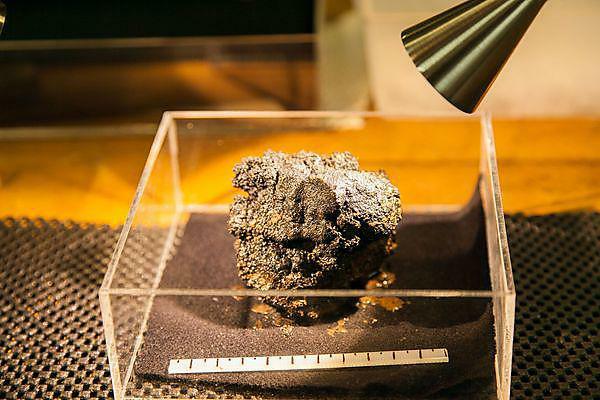 In an environmentally and technologically sound manner, the company plans to collect these polymetallic nodules that contain metals used in the construction, aerospace, electronics, and alternative energy industries. said Professor Martin Attrill, Director of the Marine Institute at Plymouth University. The PhD focused upon seabed mapping will tap into Dr Howell’s extensive experience of predicting the location of sensitive habitats, such as cold water coral reefs in the Atlantic. The second PhD will concentrate on innovative extraction techniques, using electron microscopes at the University to peer inside the structure of deposits similar to the golf ball-sized manganese nodules found on the seabed. Both courses will commence in 2015 and include a guaranteed place on a research trip to the Pacific as part of the arrangement.